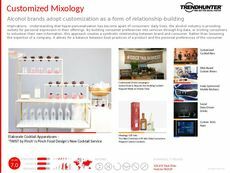 Find Better Ideas, Faster ® with a custom non-alcoholic trend report, our PRO Dashboard and 80+ categories of premium trend reports. 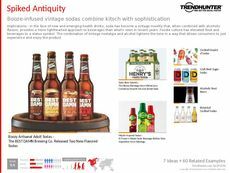 We explore beer, wine and cocktail alternatives through the Non-Alcoholic Trend Report. 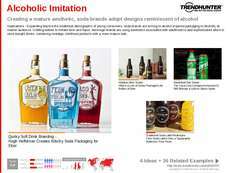 Following a shift in consumer groups who choose to opt for non-alcoholic beverages, a rise in mocktails and virgin cocktails has emerged. 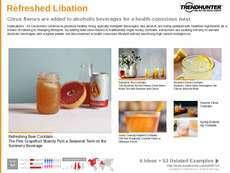 We highlight many sparkling juices that brand themselves with alcohol-inspired packaging and cocktail-inspired flavors. This pattern has occurred in correlation with an increase in health and fitness concerns as well as frugality. 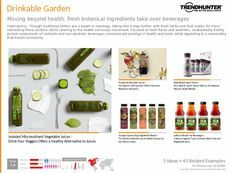 The insights found within this report are catered toward professionals in the beverage industry, especially product developers and package designers of juices. 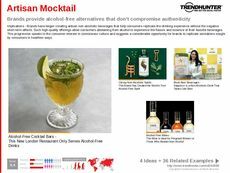 Restaurant and bar managers and executives can also benefit from this research as it shows a decrease in alcohol consumption and a market interest in artisan mocktails. 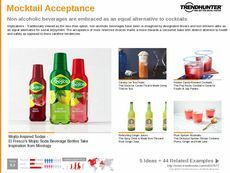 The Non-Alcholic Trend Report highlights juices, sparkling beverages and mocktails that attract consumers who want a virgin alternative when celebrating or eating out.